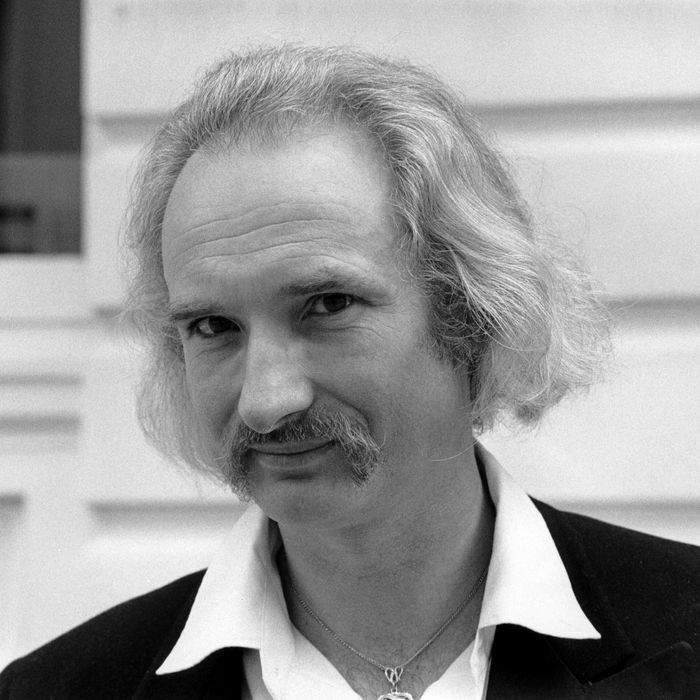 Holger Czukay, the trailblazing musician best known for co-founding the mighty German group Can in 1968, was found dead in his studio and living space outside of Cologne, as reported yesterday in the German newspaper Kölner Stadt-Anzeiger and confirmed by Mute Records. He was 79. Czukay was a true sonic pioneer — both in Can and in his numerous solo projects and collaborations. “I was always mostly interested in people who were ahead of their time, all the time,” Czukay told me when I interviewed him four years ago. Many of the most radical musicians of the genre often called Krautrock are no longer alive — including Klaus Dinger of Neu!, Dieter Moebius of Cluster, and Jaki Liebezeit and Michael Karoli of Can. The loss of Czukay is a stunning blow. Czukay was born in Gdansk, Poland in 1938. Near the end of World War II, his family fled to West Germany. His first memories of music were in churches. “In the war — or after war, even — it was the only place I could go where I could hear music,” he told me. Czukay went on to spend the rest of his life searching for new sounds. Before Can, Czukay studied for several years under the fearsomely cerebral composer Karlheinz Stockhausen. But instead of modeling himself after Stockhausen, creating rigidly formalist compositions on graph paper, Czukay decided to go his own way. Stockhausen gave him his blessing. “He was encouraging me to leave him, and to find something new — and that was Can,” Czukay said. Czukay played multiple roles in Can, as a bass player, sound engineer, and expert tape editor. As a bassist, he built up his own minimalist but oddly funky style that locked in perfectly with Can’s genius drummer Jaki Liebezeit; together, they created one of the grooviest rhythm sections of all time. Czukay was even more adept at cutting up tape with a razor blade — sampling, chopping, splicing, and looping with amazing accuracy. He took Can’s loose, extended jams and sculpted them. His bandmates possessed serious skills of their own. Liebezeit had played with Chet Baker; the keyboardist Irmin Schmidt also studied under Stockhausen. The guitarist Michael Karoli routinely spun out mind-melting solos. The vocalists Malcolm Mooney and Damo Suzuki each brought their own tightly wound energy. Can became something far greater than the sum of its parts. On their greatest songs — from monster jams like “Mother Sky” to the mystical incantations of “Oh Yeah” — the music achieved a mysterious lightness, an unearthly feeling of levitating in midair. “We wanted to be something impossible becoming possible,” Czukay said of Can. The otherworldly transmissions of shortwave radio were a constant source of inspiration for Czukay, who used bits and pieces of the ethereal broadcasts to make sound collages. Check out the record he made in 1968 without Can, with his friend Rolf Dammers — the sampladelic Canaxis (1969), made with tape swiped from Stockhausen’s studio. Czukay’s numerous solo albums after Can — including Movies (1979), On the Way to the Peak of Normal (1981), and Der Osten ist Rot (1984), were each remarkable in their own way. The song “Persian Love” on Movies, which sampled an Iranian singer, was deeply inspiring to Brian Eno; there’s a cosmic connection from “Persian Love” to Eno and David Byrne’s 1981 classic My Life in the Bush of Ghosts. Czukay didn’t have access to digital samplers, which are cheap and ubiquitous today. He had to sample with bulky analog technology, and he hacked the tech to do his bidding. For instance, he rigged a way to connect a Morse code tapper to a shortwave radio set, so that he could trigger samples. He used whatever he could get his hands on — Dictaphones were a common tool — to inject his music with weirdness. Czukay was a mad genius, but he didn’t have a massive ego. He described himself as a sort of accidental lightning rod — a conduit for musical energies that were flowing through him. In person, he was kindly and generous, with a goofy sense of humor; he adored the comedian and juggler W.C. Fields as much as he admired Stockhausen. For many of us who knew him, Czukay was like a kooky uncle — the kind of guy who’d send you a brilliant but inscrutable email in three different fonts, or crack a silly joke on the phone and then chuckle at his own joke as if on cue. He had a completely unique sense of style — who else could rock a handlebar mustache, a tricorn hat, yellow pants, and roller skates — sometimes all at once? One of rock’s true wisecracking eccentrics has left the world, and there is much to learn from his long, storied legacy. “I was never interested in an art that exists by thinking,” Czukay told me. For Czukay, art was a living organism, with a body, mind, and heart. Czukay’s cosmic groove had it all.